African headtie popularly called gele is a piece of metallic material made with plain or bold patterns that is used as a headwrap in Africa for various occasions. They are worn by African women to complement their African Attire and for special events like weddings; naming ceremony, graduations etc. A nicely tied Gele can compensate for a not so great looking outfit. A Gele is categorized as a clothing accessory amongst African Women. Make a statement with our elegant headties. 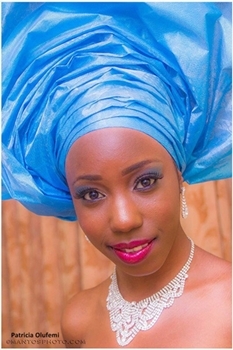 Choose from our selection of latest designs of headties (Gele) available in different colors/designs. You will sure look like an African Queen wearing one of these. It's our culture, it's our tradition; wear it with pride.